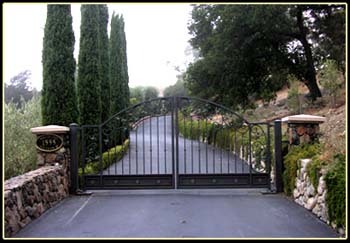 Bi-parting arched top driveway gate. Hand forged scroll leaf design. Powder coated, faux painted. These gates are automated.